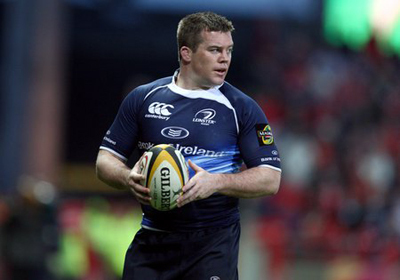 Interview with John Fogarty ex Irish International and Leinster player. We asked, " What are your expectations for the cup this year ?" He said that basically; Terenure College are favorites however they have a lot to live up to, and maybe they could be too confident ? They do however have a number of good players especially in Billy Dardis, Harrison Brewer, Andy Roche, and Tim Schmidt. But this will not be enough to secure the title. We asked, "Are there any players to look out for this year ?" He said again that; there were a good few players in Terenure to look out for. St Micheals have a good foundation in the squad this year with a number of younger players, "I don't like putting pressure on any players so I wont name them" However he indicated there were some from St.Michaels. He did although name that fullback Cian Kelleher would be a threat to any defence. (He proved to be right) In Blackrock, they also had quite a few good players, and that this year would be in preperation for next years effort in winning the cup. And we asked " In your opinion who is a dark horse this year ?" I think that Blackrock have been quiet, that said they are always expected todo well every year. This could work to their advantage. They appear to have a chip on their shoulder from last years defeat in the first round to Terenure. Their pack is really quite big, with Oliver Jager and Nicholas Timoney being a big part to it. St Marys have been quiet in this year so far, although they beat Clongowes and St Micheals at home. They have a small but strong side, quick and intelligent on their feet, but will depend on how they get on in Fridays match against CBC Monkstown. Special Thanks to John Fogarty for allowing us to interview him, and Michael Kineen for helping me write and document the article ! that is targeted оn three key areas of your reѕpective job hunt:. University of Ρhoenix offering onlinе ԁegгeeѕ is гecognizeԁ bу 'the Higher Learning Commission'.